Over the last decade, the Internet has completely revolutionized the way the world operates. While some haven chosen to surf the web for bargain-basement discounts, Chan Sung Jung was searching for never-before-seen submission maneuvers. For the first time in UFC history, a twister submission ended the night for an Octagon athlete. 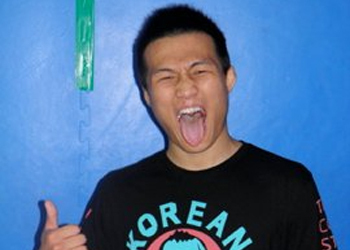 “The Korean Zombie” not only avenged his controversial 2010 split decision loss to Leonard Garcia on Saturday at “UFC Fight Night 24,” but he also pocketed an extra $55K for ‘Submission of the Night’ honors. What may haunt “The Bad Boy” the most about his loss was the fact there was only one second remaining in the 2ndRound when he tapped.